Dance is a means, not an end. Excerpts from my book UNVEILING MOTION AND EMOTION, published in 2013. Technique equals control. In the academic ballet technique, 2 + 2 = 4. You must resist gravity, project energy into the space, use rotation and opposition. By working with an economy of energy and movement you discover how to work using your muscle tone. I want people to work with joy, to explore and learn how to use their bodies and energies efficiently and healthily as instruments of expression. In my class, dancers increase flexibility and strength, and they acquire the muscular awareness to prevent injuries and overcome physical difficulties, incorrect posture, or alignment. The greatest satisfaction I know comes from seeing dancers discover their own potential. For me, teaching is showing myself just as I am. I practically grew up teaching dance, so it feels natural for me. Teaching dance is the same, whether it is to a professional or an amateur. I embrace and encourage them equally. Everyone receives the same information, passion, love, and respect. Dance is a means, not an end. In 2006, I began to systematically teach what I call Structural Barre à Terre. Thinking about what kind of complementary training dancers needed for strengthening, increasing flexibility and sensitivity, and educating their bodies, no matter their technique, I considered new tools I might provide and new approaches in my teaching. Dance New Amsterdam gave me the opportunity to augment its offerings and serve the dance community in New York. My classes are for people who wish to explore and learn about the fundamentals of their bodies’ functionality, bring awareness to their movement and their dancing, learn to use their bodies in service of movement, and become receptive to changes. On the floor, under the effect of gravity, you become aware of the conscious and unconscious uses of energy and musculature: You can isolate and explore the functions of different parts of the body and their proper use. It takes patience and consistency to achieve an honest and available body. As Doris Humphrey said, “You have to learn to make your body transparent and translucent, so that emotions and ideas can pass freely and naturally.” Make the body available. The body is the means, not the end! It is difficult to leave ego and resistance aside, but open-mindedness is crucial. Every technique requires this, but with barre à terre, I offer an appropriate time and space in which to achieve it. No stress, no limits, no self-judgment. Movement springs from the inside and manifests itself externally. Actors, dancers, singers, musicians, painters – everybody can take my class. Although their reasons for taking my class may differ, they all have one reason in common: self-discovery. 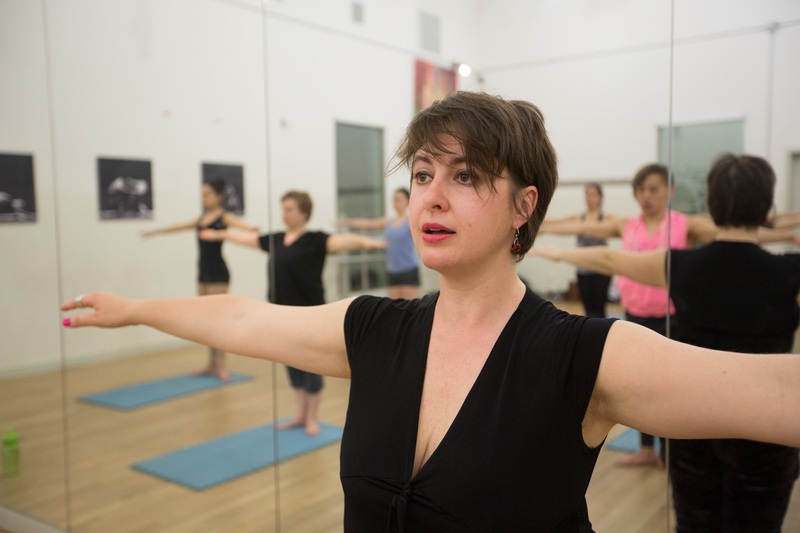 To know more about my Barre a Terre Classes CLICK HERE!